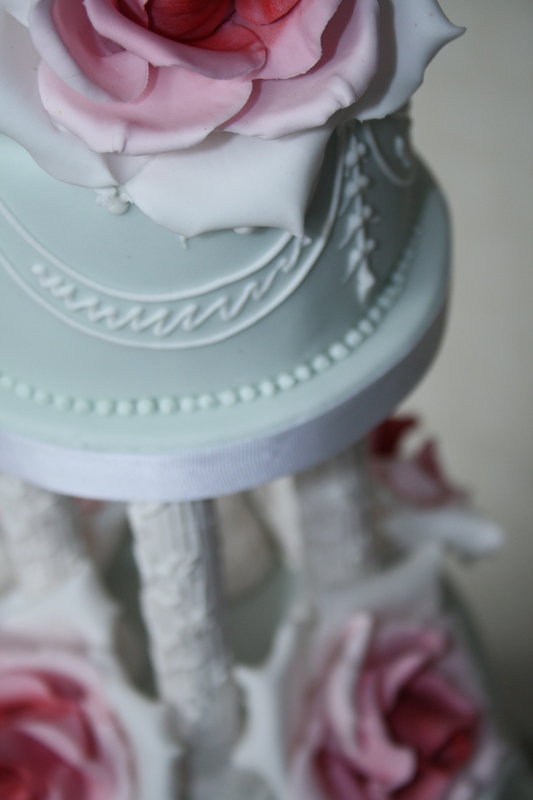 Four tier wedding cake photographed at Wadhurst Castle, Kent for Wealden Times Magazine. 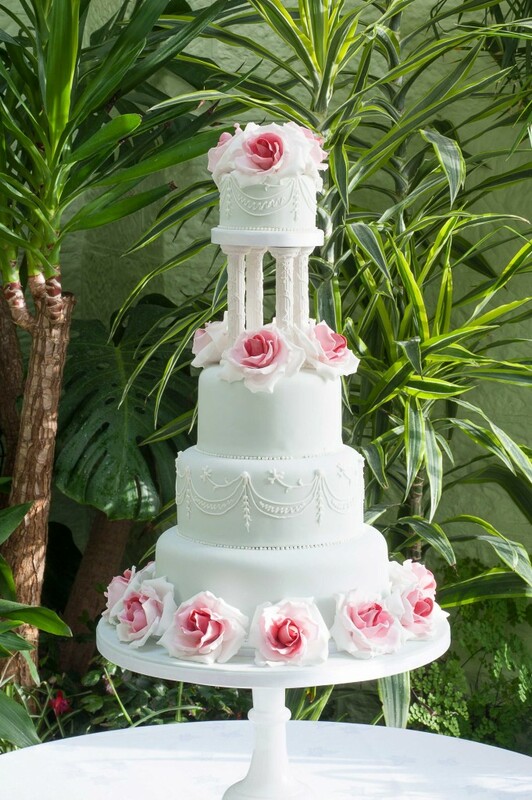 Iced in duck egg blue with graduated soft pink sugar roses and hand piped white swag design detail to each tier. Alabaster pillars. Cake would serve 130 finger portions.